As we look forward to 2018, we are all beginning to think about all that the next year could bring. For schools and education organizations, that means improved student recruitment through more effective education marketing. With more competition, an industry that hasn't really had to focus on marketing in the past, and an increase in the number of schools and districts throughout the US, schools are struggling to effectively recruit and retain students. 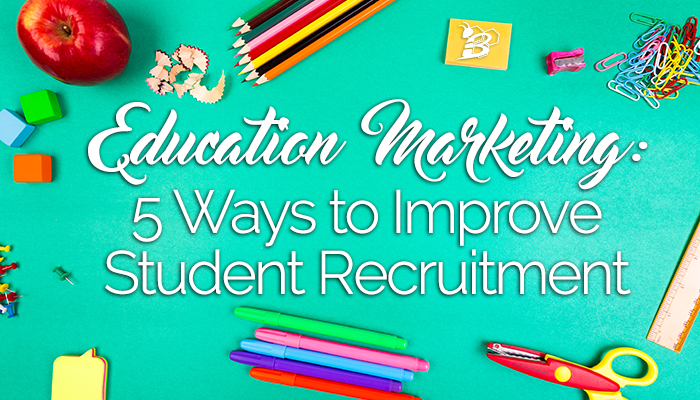 Let's take a look at five ways to improve your student recruitment with effective education marketing in the new year. One of the biggest struggles that most business and organizations have is that they don't really understand their audience. Too many colleges are calling their undergraduate audiences "people 18 to 22" and charter schools are calling their audiences "parents of soon-to-be sixth graders". But what does that really tell you about your audience? Very little. Without really understanding and developing your target personas (yes, plural - you should have multiple target personas), you don't honestly know what kind of content to produce that will help to move your parents and/or students through your student recruitment funnel. This becomes even more important once you have started to build your database. Understanding who each person is, what they're interested in, and what kinds of content to produce specifically for them will help you move more of them to the bottom of the funnel and increase your student enrollment. Really knowing your audience and your database will also help you focus your attention on those that are closest to the bottom of the funnel once registration deadlines or choice periods come around. So much in the education industry is still manual. From manually adding emails to your database to manual reach out once someone fills out a form on your website, most education organizations, schools, and universities have not really automated much (or any) of their marketing processes. Without automation, your team cannot realistically keep up with all of your contacts, leads, and current students/parents. This is where you need to utilize a software like HubSpot to define and segment your database, create automated workflows, and continue to reach your prospects automatically without having to think about it. Something to consider - if someone fills out a form on your website during the holidays or on the weekend, are you waiting to follow up with them until Monday? If so, you may be losing that potential student. This is a common problem for all kinds of industries, but especially in the education industry. I recently spoke at a charter school conference and during the question and answer section of my segment a visitor said, "We have calls-to-action to register on every page." That is a very bottom of the funnel call-to-action. 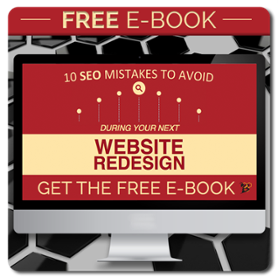 Schools and education organizations are very good at making sure that they give visitors on their website the ability to register, but that's the only call-to-action on most school websites. What about the people that aren't ready to register yet? You're not giving them any way to get into your database which means that you have no way to nurture them into registering. 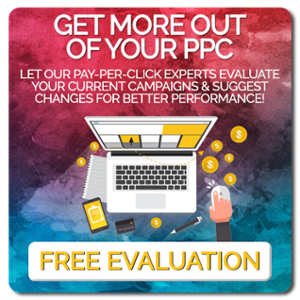 Without middle of the funnel offers such as downloadable content (school comparison charts, checklists, infographics, eBooks, etc. ), you're losing these prospects, possibly forever. You've got to give your prospects a way to get into your database without registering - and a simple "Sign Up For Our Newsletter" CTA isn't going to do it. It's about to be 2018. We have more data available to us than ever, but the education industry is not effectively using the available data to make education marketing decisions. It's a "spray and pray" industry right now - meaning that education marketing budgets throughout the US are continuing to be spent on tactics that may or may not be effective. Return on investment is important in any industry, but without utilizing your analytics, you'll never truly understand what is working, what isn't, and where to spend your next budget. This is another spot where a tool like HubSpot is invaluable. Like we mentioned before, the education industry hasn't really had to focus on marketing or student recruitment until now, causing the industry as a whole to be behind. Without having a big focus on marketing departments, entire universities and school districts are relying on a one or two people to handle all of their marketing. This just isn't effective. One or two people cannot possibly handle all the moving pieces of a full marketing campaign. There are just too many things to juggle. You've got to build a team to be effective. Whether that is through full time employees, part time employees, student employees, and/or a marketing agency, one person or a couple people just cannot be effective and take your student recruitment to where you want it to be in 2018. If you're serious about your education marketing and student recruitment moving in to the new year, you need a software that is as dedicated to it as you are. Schedule a free demo to see exactly what HubSpot can do for your organization, school, or university today!